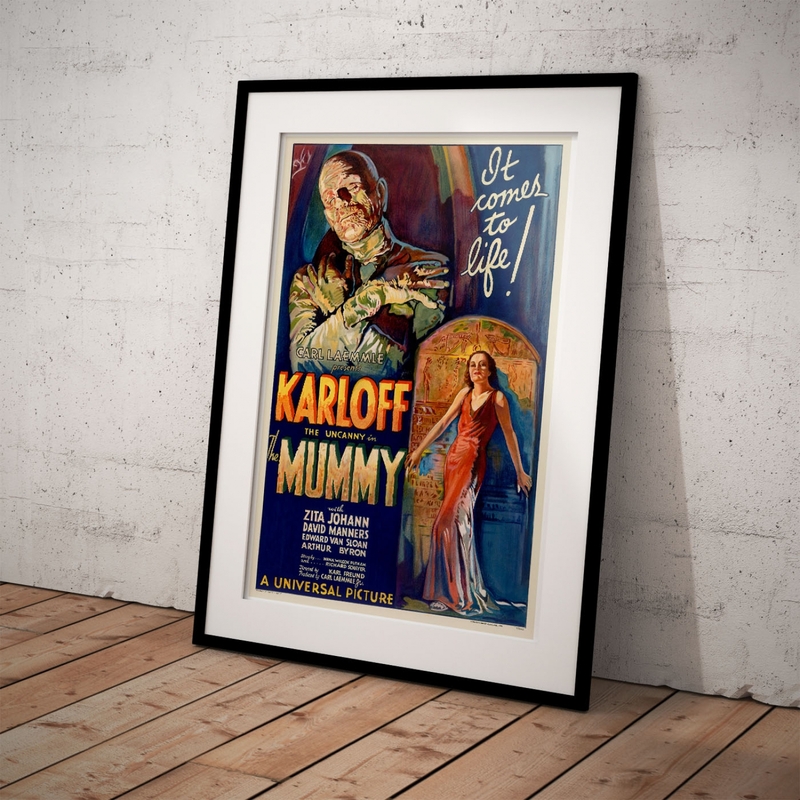 The Mummy, staring Boris Karloff and Zita Johann. 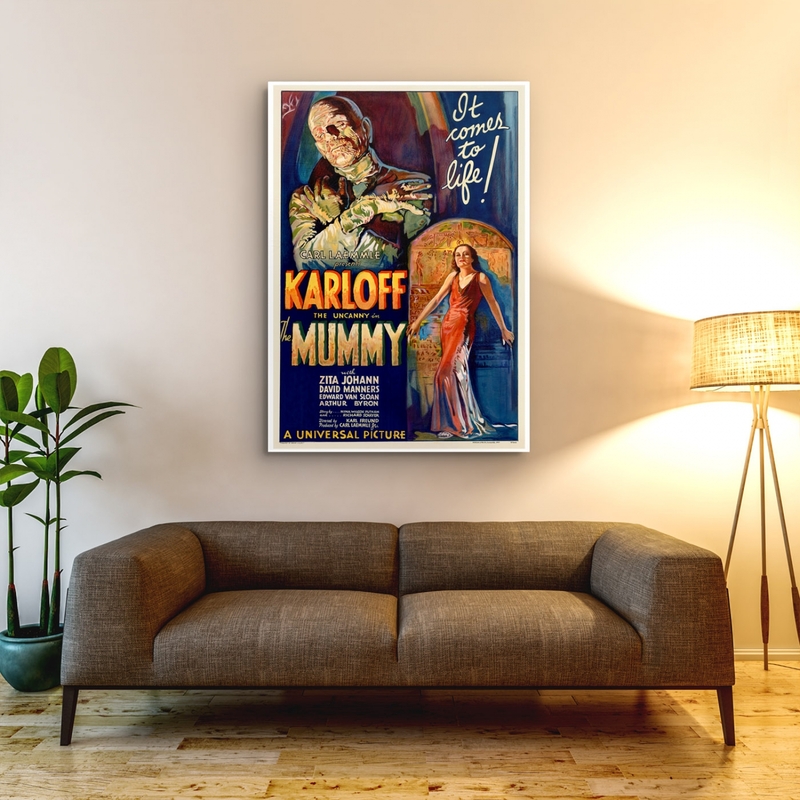 This wonderful advertising poster was produced for Universal Pictures for A Horror Movie Classic; The Mummy, staring Boris Karloff and featured Zita Johann, David Manners and Edward Van Sloan. 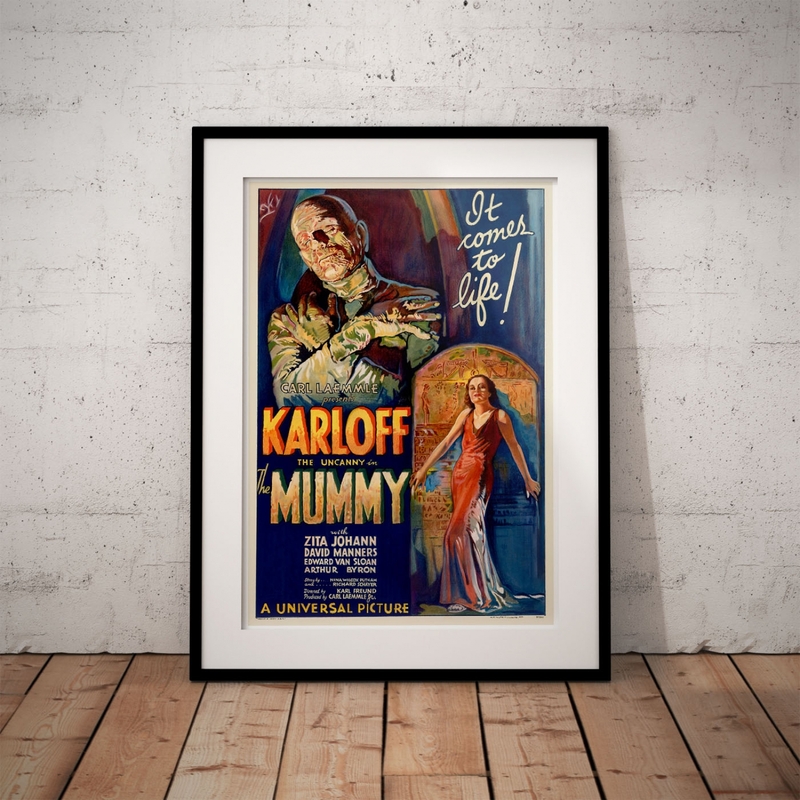 Universal Pictures was renowned in the 1930s as the home of horror, producing such films as Dracula, Frankenstein and The Mummy and making stars of Bela Legosi and Boris Karloff along the way. The movie was shot in Cantil, California, Universal City, and the Mojave Desert. A decade before the Universal Pictures horror movie boom, the British Museum made the most significant archaeological find of the century in the untouched tomb of Pharaoh Tutankhamen. Amongst all the controversy over gold and ancient treasures was the popular interest in "the curse." The media of the day, like today, headlined Death and misfortune that seemed to follow the members of the Egyptian Expedition like a dark shadow. 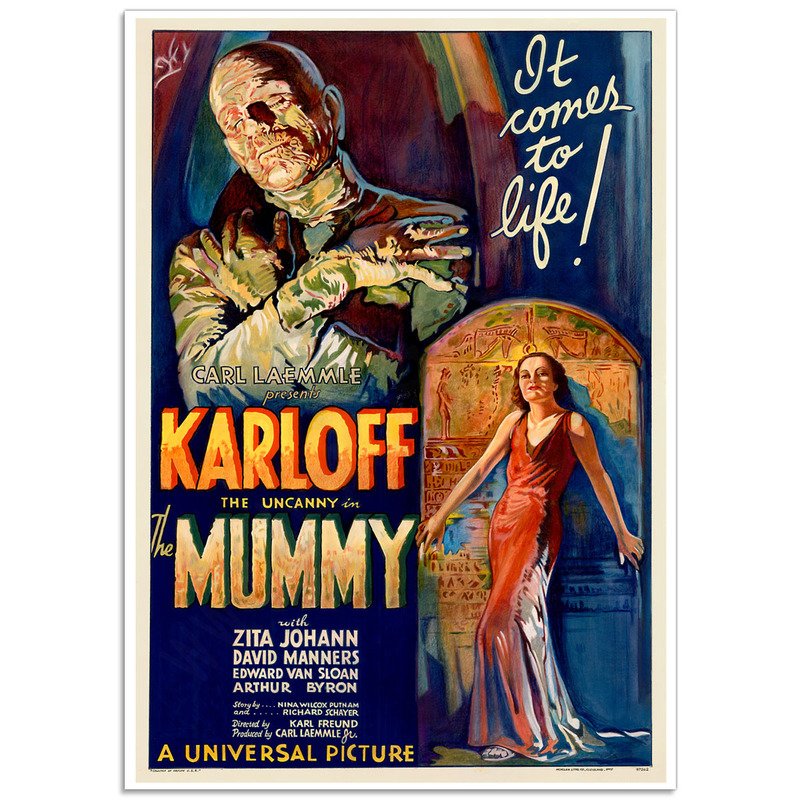 The Egyptian mania was all the rage, Hollywood unsurprisingly wanted a slice of the “Pyramid Pie” and what better solution for a cash grab was there than cashing in on the curse with a horror movie! 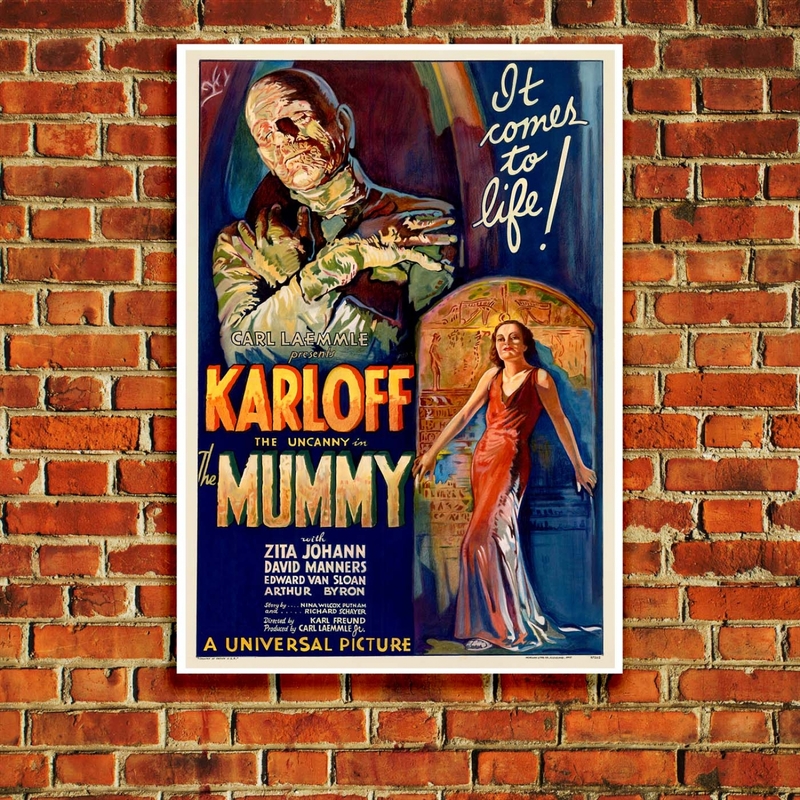 The "The Mummy", Retro Movie Poster is a reproduction of an original Vintage Movie Poster. Ben-Hur 1959 - Movie PosterBen-Hur the best of Hollywood’s Biblical Epics.The movie was a huge comme..
Eraserhead 1977 - Movie Poster A Stunning Poster created to advertise the movie Eraserhead 1977. E..